I like the country of Latveria. It is not plagued by hardship or hysteria. Daredevil thinks I'm talking sh*t. He would rather travel with a hit. Of turpentine mixed with friendly bacteria. Or also known as 'yogurt' to Writer: Mark Waid; Artist: Chris Samnee; and Publisher: Marvel Comics in August 2012. Not the fruit based variety though. Do you remember what it felt like going shopping with your Mother for a school uniform? Yeah. Well, times it by two, add a six, and then you'd have a pretty good idea what Daredevil feels like in this tale called 'Can You Hear Me Now'. Hopeless, utterly-utterly hopeless. Picture the scene or I'll shoot you; poor hapless Daredevil has changed his tag-line to 'man without fear', to 'man without any senses', all because Baron Von Typecast has injected him with nanodroids, in the vein attempt to figure out how his radar sense's work for his master, Doctor Doom. Matt can not hear. He can not feel. He can not watch television, either. However, after spending a bit of time becoming a reality show contestant, Daredevil eventually seizes the opportunity to fight back in his own amiable way. To be continued when a metallic marvel rears his shinny shell-head. 'No Hope. No escape. That's the sinkhole my mind wants me to slide down. It would be so easy. And the only thing that's saving me for the moment, ironically, is that I never do it easy'. Ha! Who says stubbornness isn't a good thing at times? Now normally when you read a comic book about a hero being in danger, deep down in the back of your mind you know they'll be OK by the end of the piece -- unless the media has spoilt it in advance of course. But this issue made me believe in Daredevils despair -- and not for one single minute did I presume he'd be OK by the end of it. Good on you Mark Waid. You crafty so-and-so you. My one small miniscule gripe with this adventure is how did Daredevil know how to climb up the side of the building, if he previously stated that he did not have any sense of touch? Also, how could he find his Avengers communicator and kit himself out? This is a small plot gripe though, nothing else. STORY: One of the most creative things about this story was its whole conceit -- disabled hero stripped of all his senses, and tries to escape from his captors. Not something you'd see every day, is it? Plus it was pretty good too. ART: There was a scene in this story where Daredevil starts off hazily visualising the nurse who is looking after him, before it quickly melts into an imposing image of Doctor Doom looming in the background. Class page layout that. Bravo Chris Samnee. You've proven your worth in this issue without a shadow of a doubt. 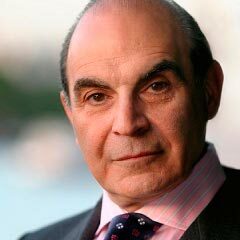 BALD DOCTOR: Ever since I saw David Suchet play 'Poirot' on television, I could not help but presume he must have had some medical training prior to playing this French role. You see, both medical personnel and Parisians are a bit aloof at times, aren't they? INEPT SECURITY GUARD: Just look at that face. Go on. Look at it. 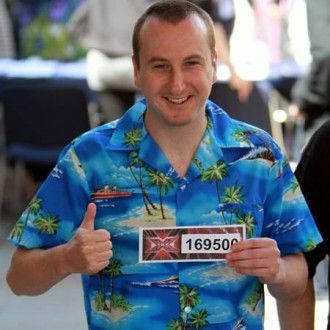 And tell me that Andy Whyment from Brit-soap, 'Coronation Street', doesn't look like the type of a man who'd shoot himself in his own foot with a gun. I Can't See. I Can't Feel. And I Can't Hear. Who Am I? A Politician. In essence this story had a relentless tone to it, which somehow symbolised struggling and the need to break free from your senses. Therefore, in my own warped estimation, this issue is none other than Manfred Mann's pop-ditty 'Blinded By The Light '. By in large this was a pretty nice issue to read. I liked the idea behind the story, plus the execution was top-whack too. Though, for me, the one thing that did let it down slightly was its evenly paced tone, and it's slight gaff in plot. Granted, this wasn't so major that it spoilt my enjoyment of this story in its entirety. Oh no. Rather, it just gave the high quality scribe Mark Waid normally brings to the table a sullen dent. Not too much -- Marks a star -- and he has a plan in mind that has kept Daredevil a must read, month in, month out.